Gavel Fell summit. Starling Dodd in the middle distance, Pillar and Scoat Fell in the background. Height: 1720 feet above sea level in the first edition has been slightly boosted to 1726′ in the second. Date climbed: First visit: 11th June 2011 (walk 37). Second visit: 31st July 2017 (walk 134). 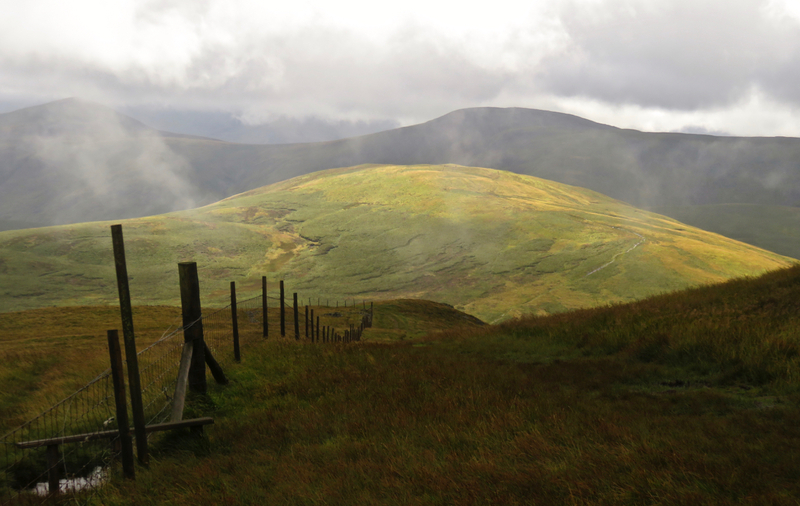 Route of ascent and descent: First and second visits: Both done the same way: approached on the ridge from Blake Fell. 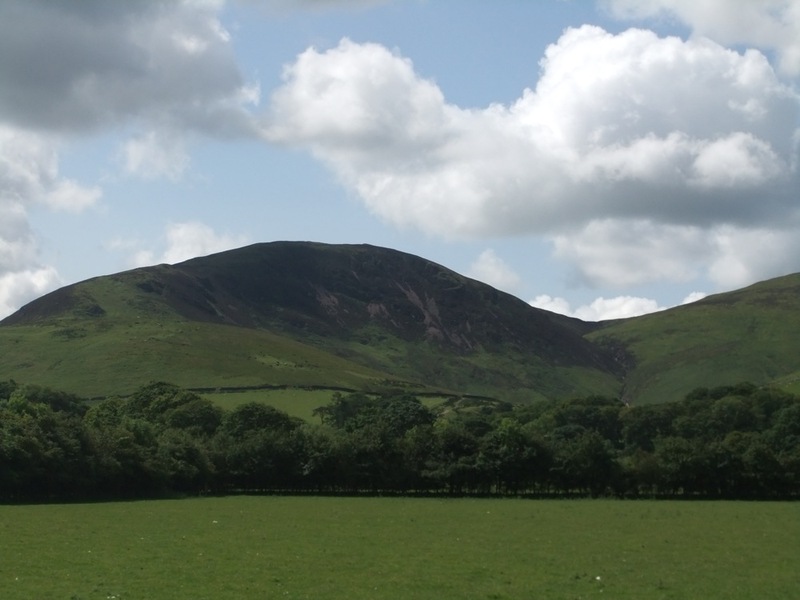 Descended to High Nook Farm and then Loweswater, by the reverse of the route depicted on the left hand side of page Gavel Fell 5. There are some nice views on this descent. What I say: It’s a bit of a shame I bagged Gavel Fell the same way each time. 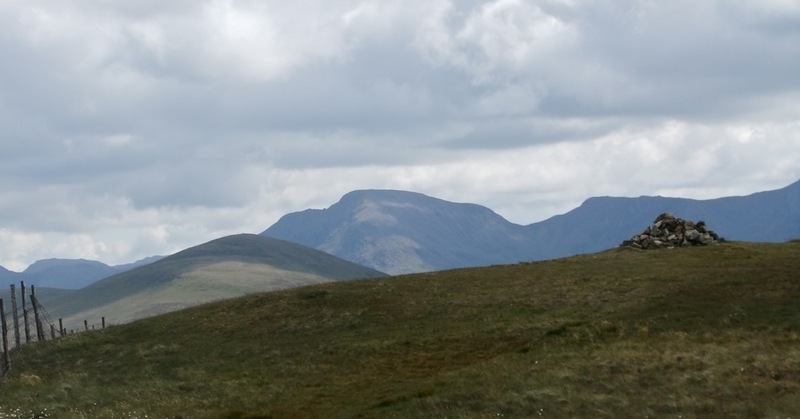 I have nothing against it but it is not a particularly distinctive fell, without its neighbours’ better features, like Burnbank Fell’s charming lower slopes nor Blake Fell’s prominent summit and good views to the sea. It did have the virtue of a descent that did not pummel my knees into submission, however. With the onset of middle age, these things matter.